The reason I decided to get a new Le Pliage is because my current one is a little beat up and the design is coming off. :( Then again, I have been using it for years and throwing it around, putting it on the floor, stuffing it into a gym locker, etc. I need to get the corners of it patched up, but it has served me incredibly well. The one I got is the larger Le Pliage with the long handles. It was the last one left in NYC, I believe, because I contacted or personally visited all the stores. For some reason, I put off ordering it online, and then all of their sale bags disappeared. The large Le Pliage bags with the long handles are usually $145, and this one was on sale for $116. That's not even why I wanted it though - I just love this color! I don't like the other red that Longchamp makes as much. This color is called "Grape." As soon as I saw that Longchamp's website didn't have the sale Le Pliage bags anymore, I e-mailed their Spring Street store and went to the store on Madison, and they told me they had none left. Then, later in the day, the Spring Street store e-mailed me again and said that they had one left. I ordered it on the phone yesterday and it arrived today. I absolutely love it! Here it is all folded up. It's so great that you can fold these up, because they are so easy to carry around within another bag just in case it rains or something. 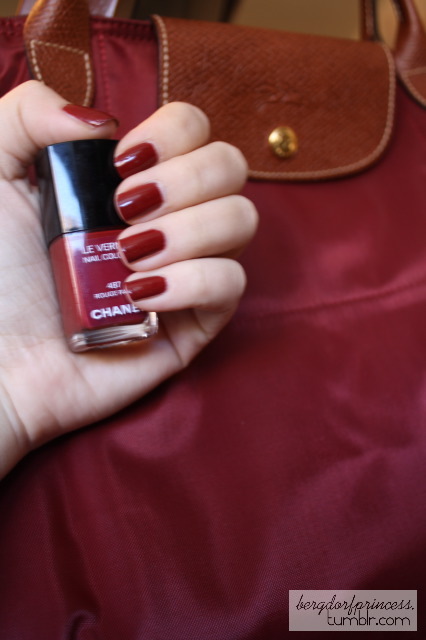 I also got a new Chanel nail polish this week - Rouge Fatal. 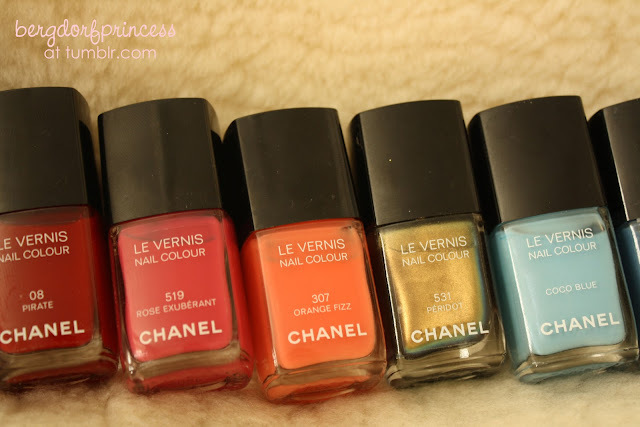 I have to say, this might be my favorite Chanel color. It matches my new Le Pliage haha! and I adore that le pliage you got! Again: I love the colour! I love my Le Pliage - I have the same size in navy. It's perfect to carry around my books and stuff. But I'm quite surprised how expensive the Le Pliage is in the States. They are much cheaper here in Europe. I got my Le Pliage bag with an eiffel tower in Paris! I'm a big fan of Le Pliage :) despite them being so common at my end as well. They are so functional like you have pointed out and they don't cause a big damage to the purse. My previous one was a maroon like colour (I can't recall the exact name) and my current one is a navy one. Very nice bag and I am super jealous of your Chanel collection!! Hi Yana! Could you possibly do a post on what makeup you normally wear for an everyday look? And I love the colour fatal, you should check it out in the Chanel gloss!! 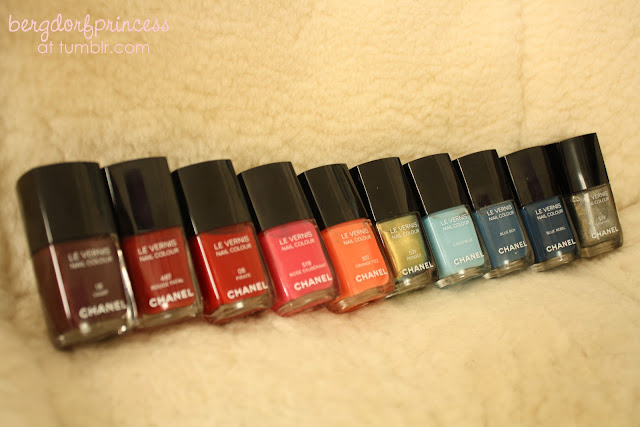 omg the chanel nail polishes in a rainbow is a great pic!! good eye you have for putting that stuff together, so cute!